The Supreme Court ruled last week to uphold a lower decision requiring North Dakota voters to bring proof of residential address to the polls. 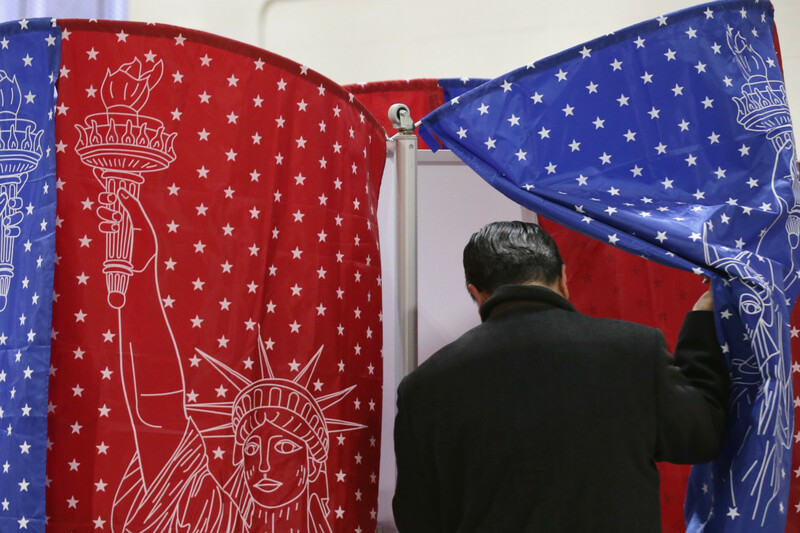 Native American voting rights advocates are scrambling to ensure that tribal nations in North Dakota are still able to vote in the mid-term elections next month, following a Supreme Court decision that could turn many indigenous people away from the polls. 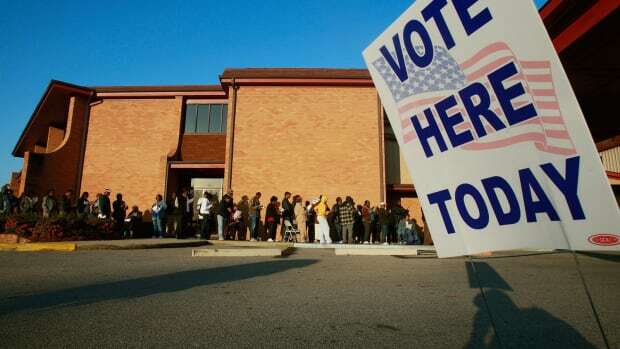 Should their tactic prove successful, it could provide a blueprint to communities of color throughout the United States for legally circumventing restrictive voting policies. The Supreme Court ruled last week to uphold a lower decision requiring North Dakota voters to bring proof of residential address to the polls. Many Native Americans living on rural tribal lands, which are typically without named and numbered roads, do not have residential addresses. The activists say the requirement amounts to a bid by North Dakota Republicans to prevent the re-election of Democratic incumbent Senator Heidi Heitkamp, who won by a slim margin of a few thousand votes in 2012. 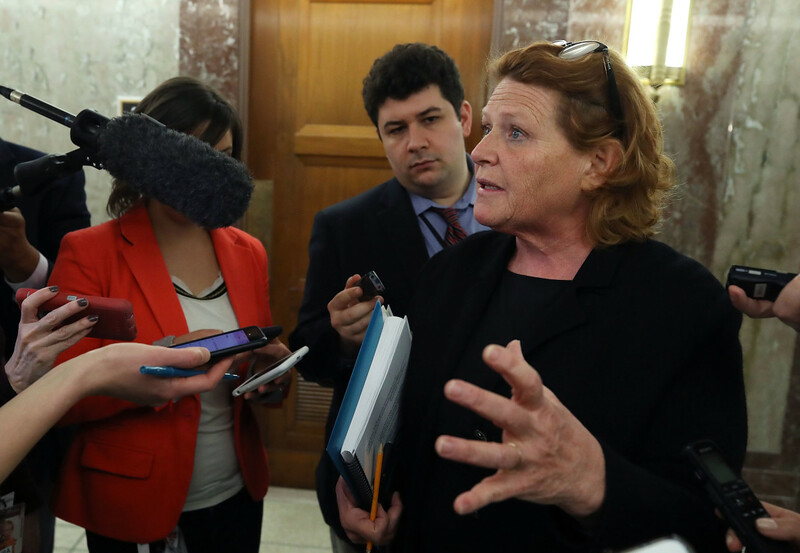 Some analysts have suggested that the court decision could cost Heitkamp, a vocal supporter of Native American rights, the election. In the initial lower court ruling, U.S. District Court Judge Daniel L. Hovland acknowledged that ruling in favor of proof of residence would deter Native American voters, but maintained that proof of residential street address was indispensable to voting. "The State has acknowledged that Native American communities often lack residential street addresses," he wrote. "Nevertheless, under current State law an individual who does not have a &apos;current residential street address&apos; will never be qualified to vote." 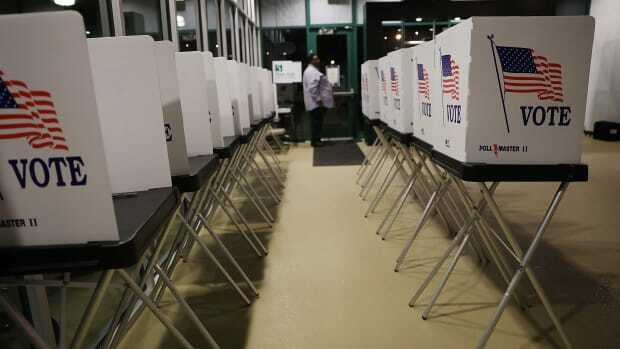 But local rights advocates say the insistence upon residential addresses, essentially allowing concerns over voter fraud to trump Native access to the polls, is a farce. 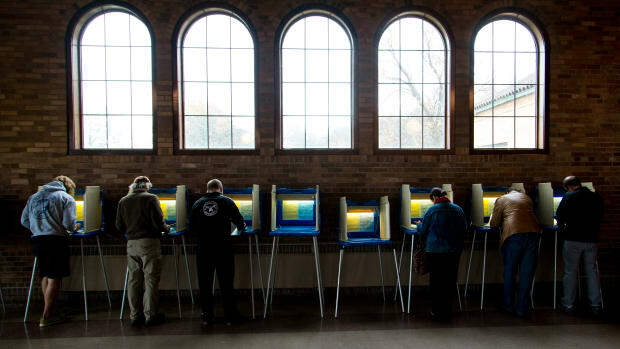 "Republicans in the state legislature insist that the law is needed to prevent voter fraud—despite there being virtually no evidence that such fraud is a problem," says Heather Smith, executive director of the American Civil Liberties Union–North Dakota. "Instead, the real effect of their law will be to prevent voters whom they fear from going to the polls and having their say in who represents them." North Dakota Native Americans without residential addresses can contact their local 911 coordinators in order to obtain the necessary information pertaining to a technical residential addresses. Native voters can also cast set-aside ballots, which essentially delays someone&apos;s ballot count by six days, during which time the voter can obtain identification and proof of residential address; should the voter fail to produce those documents, the vote is not counted. But Four Directions, a Native American voting rights organization, is not satisfied with set-aside ballots and public information campaigns. "We&apos;re doing better than that," says O.J. Semans, Four Direction co-director and a member of the Rosebud Sioux tribe. 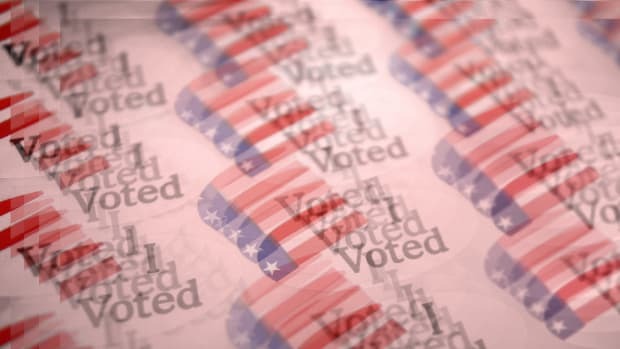 If North Dakota voting authorities truly wanted to ensure Native Americans a right to vote, 911 addresses could have been provided to tribal governments to distribute among their nations, Semans says. Together with political scientists and mapping experts at California-based Claremont Graduate University, Semans is working to bring maps to voting sites so that people can point to the location of their residence, identify a specific address, and on-hand tribal representatives can issue them a note of confirmation on tribal letterhead. Semans hopes that his group&apos;s innovative approach to circumventing what he calls blatant voter disenfranchisement will inspire other communities facing similar battles. "There are direct ties. Whether it&apos;s Native communities, people of of color in Georgia, people in Indiana, the common thread is them creating laws that would ensure the election of their candidate," Semans says. "The circumstances are different, but the end result is all the same. If your party is in power, what the Supreme Court and Eighth Circuit Court are saying is, &apos;You get to create laws to elect the candidate of your choice, party.&apos;"
Senator Heidi Heitkamp speaks to reporters on January 25th, 2018, in Washington, D.C. Indeed, voter suppression is an issue that affects many communities of color all over the country. In Georgia, Secretary of State Brian Kemp, the Republican who&apos;s now running for governor, is trying to block 53,000 voter registrations—70 percent of whom are African Americans—ostensibly on suspicion of voter fraud, the Associated Press reported last week. 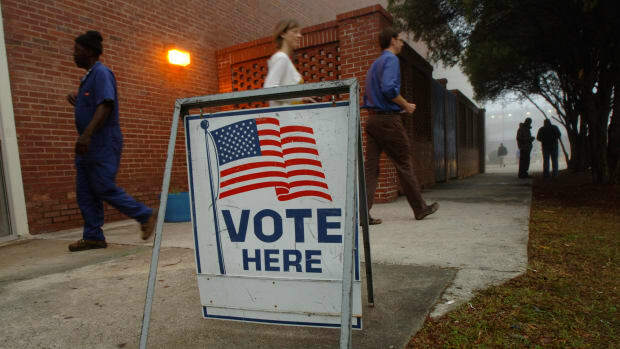 Civil rights groups have sued to allow those voters to cast ballots. "The harder the odds, the harder you need to fight back. You don&apos;t give up," Semans says. 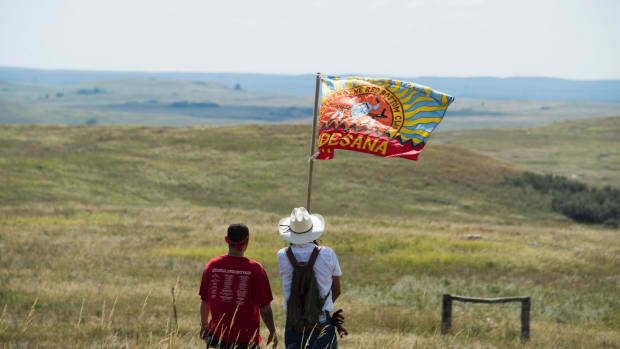 He adds that his push to generate addresses at polls falls within the scope of the recent court rulings and federal laws on tribal sovereignty to issue identification and other considerations for their members. "We also read the laws they create and we utilize them to our benefit." For years, Jean Schroedel, a political science professor at CGU, has been among several academic staff members at the university assisting Native American communities across the country fighting to preserve voting rights. "The folks at Four Directions asked for some help on potentially mapping addresses. So one of my colleagues, who is an expert in this, is looking into how to do it and we&apos;ll see if we can&apos;t make it happen," Schroedel says. Schroedel&apos;s research engendered a 2009 federal court case against former Montana Secretary of State Linda McCulloch, a Democrat, for placing polling centers in predominantly white areas, effectively driving up the cost of Native American voter participation. Whether the polls will accept the addresses that the Four Directions-CGU project will work is up to the office of North Dakota Secretary of State Alvin Jaeger, a Republican. If the polls don&apos;t accept the addresses generated with tribal representatives, that would encroach on their U.S. government-guaranteed rights. "If they can&apos;t decide how to name their streets, what&apos;s tribal sovereignty?" Schroedel says. Jaeger&apos;s office staff did not respond to Pacific Standard&apos;s questions on whether they would accept the addresses but instead forwarded a link to a list of "voting basics" and a letter addressed to the leaders of Native American tribes in North Dakota advising members without residential addresses to contact their 911 coordinators. Massoud Hayoun is a contributing writer to Pacific Standard. Forget suppression—the real foe is depression.